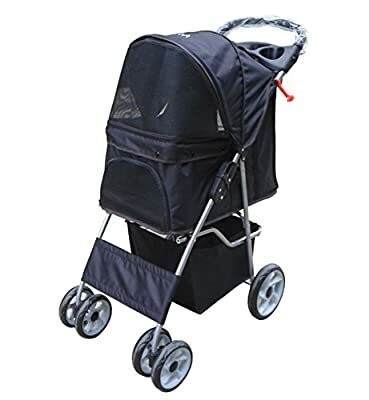 At the moment you are viewing VIVO Four Wheel Pet Stroller, for Cat, Dog and More, Foldable Carrier Strolling Cart, Multiple Colors which is one of our numerous available strollers from the manufacturer Vivo. Buy this great stroller now or browse through our store for other like choices. 4-Wheels Pet View Window & Cover Fully Collapsible 30 lb weight limit Spacious interior 19" x 12" x 19"